While Facebook is still the leader in driving social traffic, Pinterest is equally as popular as the other big networks like Instagram or Twitter. In some cases, Pinterest can bring you three times more traffic than Twitter, YouTube, StumbleUpon, Reddit, LinkedIn, and Google Plus combined. If that still doesn’t convince you, up to 47% of users have made a purchase based on a pin they saw on the Pinterest smart feed. What’s more, Pinterest generates 300% more revenue per click than Twitter. How are brands able to compete and dominate on this visual search engine? There are many bloggers that have seen huge traffic gains simply by using Pinterest to share their content. Melyssa Griffin doubled her email list and traffic in three months when she buckled down and focused her efforts on Pinterest. Kristen of Believe in a Budget increased her traffic by 400% from Pinterest within three short months. And Ashely Faulkes of Mad Lemmings has seen an explosion of traffic from using group boards on Pinterest. How are they doing this? You would think that to generate those results you would have to be on Pinterest all day pinning. What these entrepreneurs and what others are doing is relying on automation to ramp up their Pinterest marketing strategy. For many solopreneurs, the tasks required to run your business all fall on you. You’re in charge of copywriting, bookkeeping, lead generation, promotion, email marketing, social media marketing and all the day-to-day things that happen in your business. While this can run smoothly for some time, if you want to grow your business, the next logical step is to start delegating and automating your tasks. There are benefits to hiring extra help and using tools to run parts of your business. Typically, when you delegate tasks to a virtual assistant, content writer, social media marketing team or designer, you’ll end up being more efficient and focussed to handle the important business-related matters. If you’re finding tasks that take too long to accomplish or tasks that you don’t know how to do (or enjoy doing), delegating may be an option for you. Usually, administrative and organizational tasks that are done on a consistent basis are great to delegate. If you have the funds, consider hiring someone to do your content creation and editing, marketing or IT. So, why would you automate tasks when you can just delegate them to employees or contractors? Well, for a lot of entrepreneurs who have worked long hours and sacrificed their personal life to grow their business, the idea of handing it off to a complete stranger doesn’t sit well. That’s why turning to tools to help them grow their business seems like a perfect thing to do. By using a tool, you can save time and not have to worry about optimizing your strategy since automation tools help you with that. For example, Hootsuite gives you five-minute increments to schedule your posts. If you’re looking to grow your following on Pinterest and drive traffic back to your site, using a tool like Tailwind can help. I recently started a new blog and signed up for a monthly plan with Tailwind to increase exposure and traffic to my site. It’s only been three weeks and Pinterest is now my #1 referral. My overall presence on Pinterest is gaining traction every day. This is in large part due to using an automation tool. Let’s look at how you can add automation to your Pinterest marketing strategy. There are a few popular automation tools you can use for Pinterest. BoardBooster – makes it easy to pin by creating a secret board to pin from. Just put the pins you want in that secret board and BoardBooster will pin them for you. Here’s a post on setting up your BoardBooster boards. Buffer – Buffer can handle all of your social media marketing, even on Pinterest. Schedule your post on Buffer and view analytics for each pin you send out. Here’s a post for more information on how to use Buffer for Pinterest. Tailwind – Tailwind uses a drag-and-drop system to schedule all your pins. You can schedule from your blog, from the web and from on Pinterest. Check out this post to learn more about how to use Tailwind for your business. All of these tools have a free version for you to try. So, before you commit, take the trial and see which automation tool works best for your business and daily schedule. Since I’m using Tailwind, I’ll reference it in this post. What’s great about an automation tool like Tailwind is not only their analytics and reporting system, but also their time slots. Tailwind provides you with the optimal time slots of when your pin can reach the most people. In addition, you can add your own time slots for more exposure. And although Tailwind gives you suggestions, you don’t have to use them. Ideally, you want to pin between 20-30 times a day, and more on Pinterest’s heavy-traffic days such as weekends. Since you’ll be pinning more often now, you’ll want to create more boards to place those pins in. The best way to do this is to break up your niche into several topic ideas and then use keywords as your board titles. Try to come up with 10-20 new boards to create. This will make it easy to schedule your pins on different boards and not overwhelm one board with your pins or followers of that board. You’ll also want to join group boards that are in your same niche. These are boards that multiple users can pin to and can be a huge factor in exposing your brand and generating traffic back to your site. To find a group board you can search PinGroupie – a Pinterest group board directory. Once you find a group board you want to join, read the instructions, which are usually under the title of the group board. In the beginning, you may not have a lot of pins with repins (other people pinning your pins onto their boards). But, after using your automation tool for a week or two, you’ll start to notice an increase in repins. Take note of popular pins that receive a lot of repins. You can schedule these popular pins more often than other pins you have. 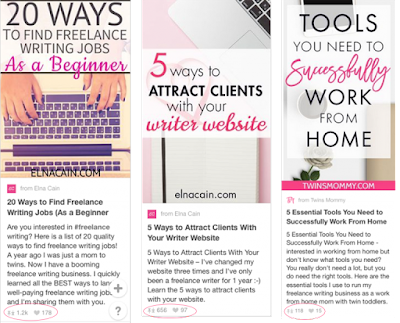 This will help you generate more traffic back to your site since pinners who see pins with a high repin count view them as valuable and useful. Don’t make the mistake of setting your pinning schedule and forgetting about it. 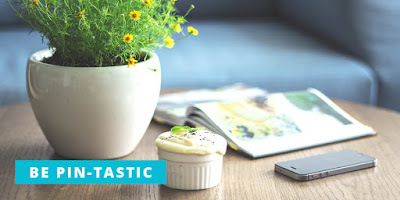 Having a sound Pinterest marketing strategy means you have to be in-tune to what’s going on in your smart feed on a daily or at least, weekly basis. Pinterest favors pinners that are well-rounded. This means pinning other people’s content in addition to your own content. While you can automate pinning other people’s content, it’s always a good idea to go into your Pinterest account to do some manual pinning – it’s actually a lot of fun! Automating tasks that take up too much time in your day is a great option for bloggers, marketers and entrepreneurs who are doing this alone. 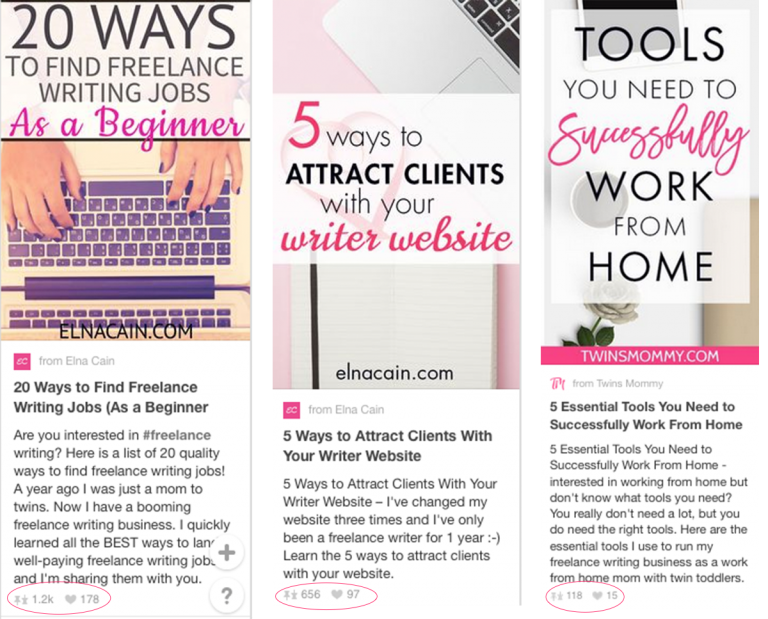 Focusing your automation efforts on Pinterest not only will help you expose your brand to a bigger audience, but it’s pretty much guaranteed it will generate more traffic back to your site. With these pin-tastic tips, you’re on your way to getting your brand out there for the masses to see. Over to you – do you use Pinterest in your marketing strategy? If not, what’s stopping you?